Dr Simon Irvine established The Eye Clinic with Dr Graeme Johnson at Manly in 2001 as a general and comprehensive eye service to the area after previously working at Bathurst and Lithgow. 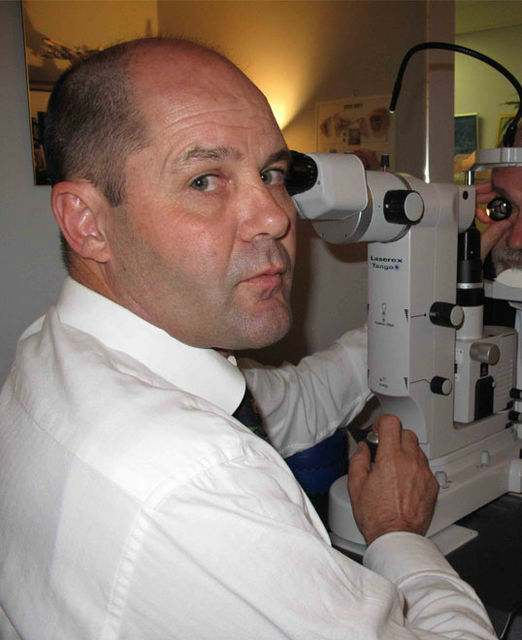 Having skills in general ophthalmology as well as optimized cataract surgery, glaucoma surgery, pterygium, eyelid and squint surgery, diabetic eye disease and macular degeneration has allowed him to build a busy ophthalmic practice at Manly. His areas of special interest are very high quality cataract surgery with customization of the refractive outcome to suit individual visual requirements and occupational needs, glaucoma management, angle closure glaucoma and nutritional aspects of eye disease. Dr Irvine also works overseas for part of each year in Myanmar and India as part of the Myanmar Eye Care Program and Vision Beyond Australia charity initiatives (see Overseas Work page). Freny Kalapesi is an Ophthalmologist and Oculoplastic surgeon. Dr Kalapesi graduated medicine from the University of New South Wales. After this, Dr Kalapesi undertook prevocational work at Westmead and Prince of Wales Hospitals in Sydney. She undertook her Part 1 Ophthalmology Examinations during this period and then achieved a Doctor of Philosophy, PhD (2002-2007), at the University of New South Wales in basic laboratory ophthalmic research. Freny trained as an Ophthalmology Registrar (2005-2010) based at the Prince Of Wales Hospital, Randwick, the workplace of the well-renowned Fred Hollows. Dr Kalapesi undertook 2 years of further fellowship experience in the United Kingdom. Her first fellowship was at the Royal United Hospital, Bath in General Ophthalmology with experience in cataract, macular degeneration, diabetic retinopathy, strabismus, paediatrics but with a special interest in oculoplastics. After this Dr Kalapesi took on her second fellowship at the Bristol Eye Hospital, as the Oculoplastics and Orbital fellow. During this year, she gained vast surgical experience in the management of lid, lacrimal and orbital conditions. She was an investigator for the CIRTED Trial investigating the role of immunosuppression and radiotherapy in thyroid eye disease. She also hosted weekly multidisciplinary orbital meetings. Dr Kalapesi attended 17 international meetings, 11 courses, presented at 6 meetings and trained registrars whilst in the United Kingdom. She has published 13 articles on various topics in ophthalmology. Dr Kalapesi is a staff specialist at Westmead Public Hospital where she trains ophthalmic registrars.